Some people can manage with Dentures but for others it can totally spoil their lives. Going out to a restaurant, some denture wearers are very limited to what they can eat and have to leave the table several times to apply fixative. There is a solution...Dental Implants ....We have helped patients of all ages to enjoy their life and food again, our oldest being 87. 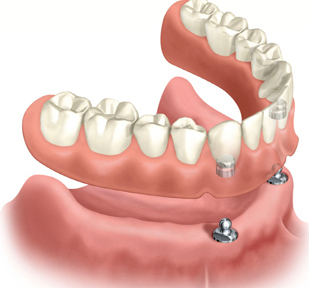 The simple option is to have a denture supported and held by implants, using four on the upper or two on the lower. 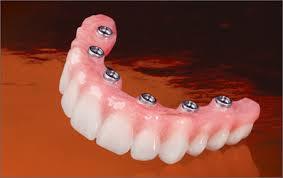 Some patients may need four implants on the lower for total stability. 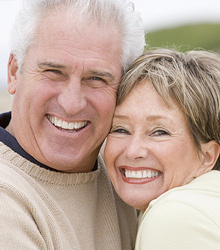 By using implants dentures can be made smaller. 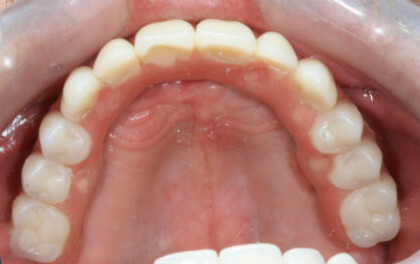 The upper can be made without any palate so the roof of your mouth is free to enjoy and taste food again.